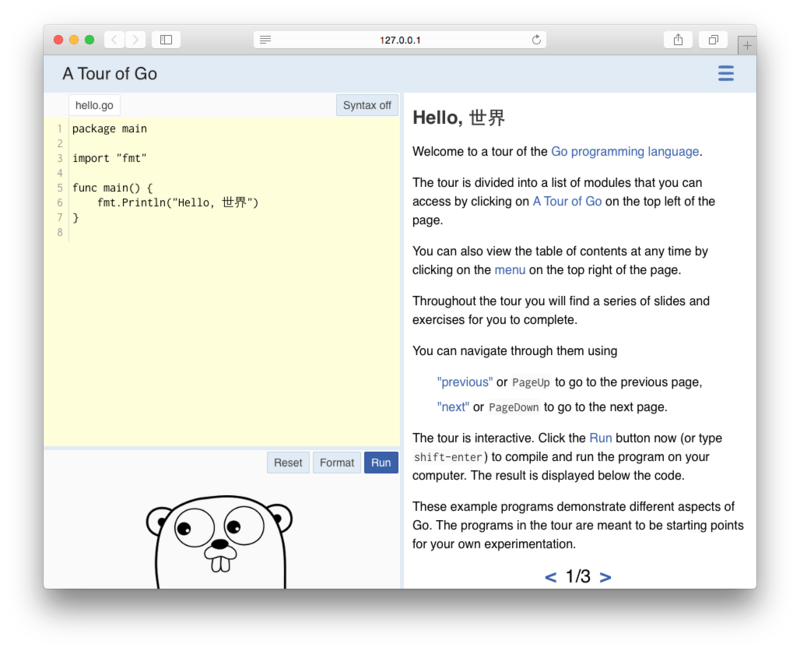 Go, also commonly referred to as Go, is a programming language developed at Google in 2007 by Robert Griesemer, Rob Pike, and Ken Thompson. It is a statically-typed language with syntax loosely derived from that of C, adding garbage collection, type safety, some dynamic-typing capabilities, additional built-in types such as variable-length arrays and key-value maps, and a large standard library. $GOPATH is the workspaces of go, $GOROOT is the install path of go. We can also check the existing flags using brew info go. 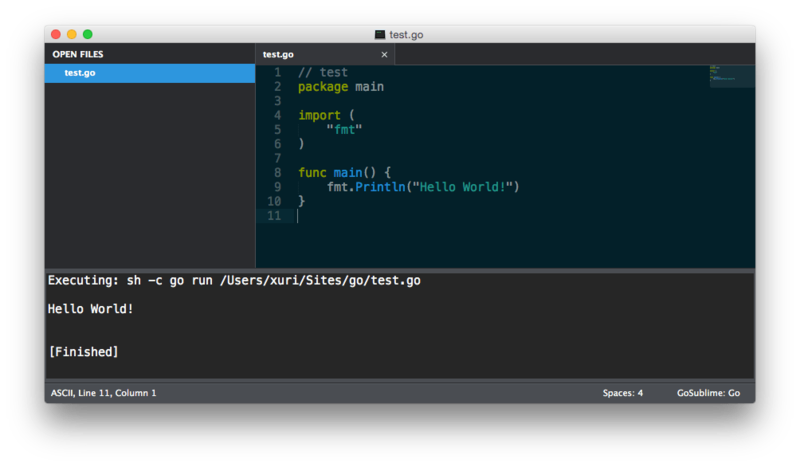 Install GoSublime (A Go plugin collection for the text editor SublimeText 2 providing code completion and other IDE-like features. ), Command Shift P → Install Package → GoSublime. Save file, and create a test.go file. If you got an error "MarGo: Missing required environment variables: GOPATH", check setting of Go's environment.